← Not just birds ….. I found this tiny Phasmid (about 7 cm in length) hanging onto the wall of our house late yesterday afternoon. 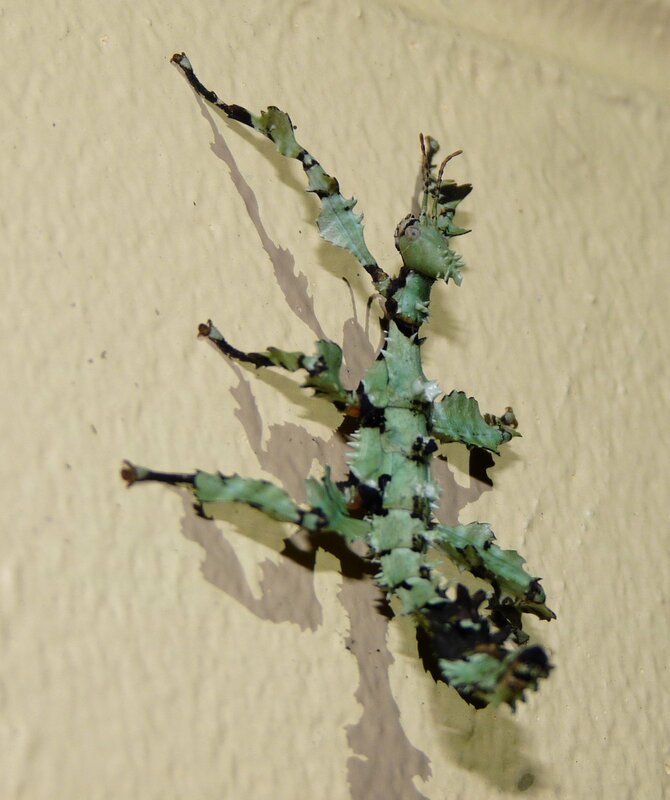 Extatosoma tiaratum is known to sometimes mimic lichen as a camouflage at an early instar, however as our house wall is not covered in lichen it looked very exposed and vulnerable. With the light rapidly fading we had trouble getting a satisfactory photo. A second attempt after dark with a torch as well as the camera flash has yielded better results. I haven’t adjusted the colour at all – it really does look quite green. After the photo session we moved it onto a plant so it had a better chance of avoiding attack by predator. This morning it was back on the underside of the eaves; although the plant may have looked an okay place to us, it apparently wasn’t considered suitable by the Phasmid. 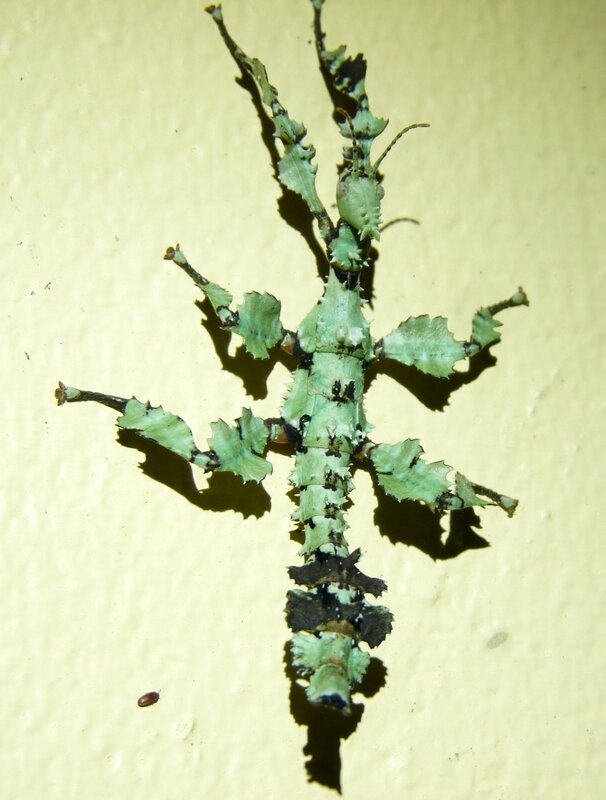 This entry was posted in Insect Life, Stick-insects. Bookmark the permalink. You are absolutely right Martha!